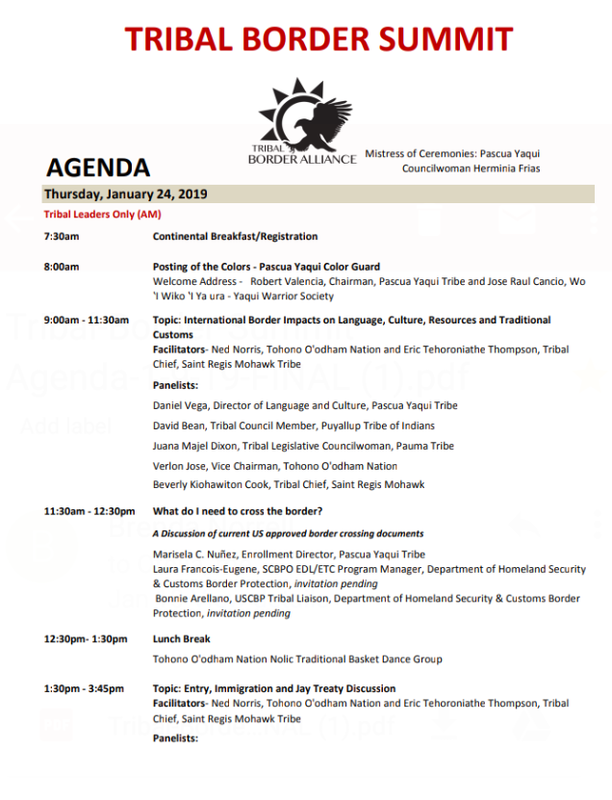 PASCUA YAQUI -- A two-day Tribal Border Summit begins Thursday with a closed meeting between Tribal Leaders and U.S. Homeland Security, according to the agenda. NCAI is among the hosts of the summit. 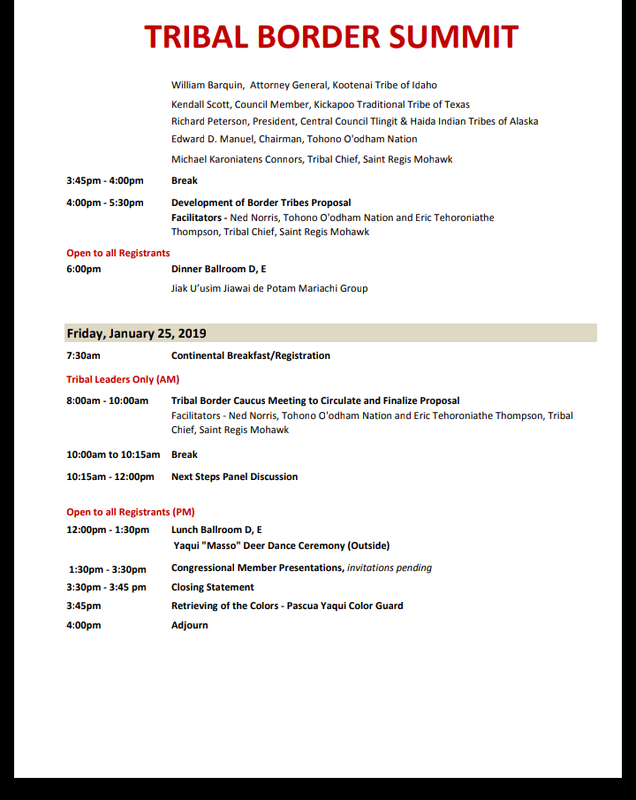 Along with Pascua Yaqui and Tohono O'odham tribal leaders in southern Arizona, St. Regis Mohawk, Puyallup and Pauma will be in the closed meeting. Currently Trump is holding Congress and the workers of America hostage over construction of the proposed border wall. The shutdown of the U.S. government is the priority of Trump, reflecting the Apartheid of South Africa, the terror of Palestine and the regime of Hitler, an attempt to manufacture the oppression, isolation and government control of the Berlin Wall. Since the time that the imaginary border line was drawn, Native Americans crossing the border in their homelands have faced constant abuse by the U.S. Border Patrol and ICE. The abuse includes the U.S. Border Patrol running over Tohono O'odham in fatal incidents, the stalking of traditional O'odham women, and violent attacks on O'odham. The Border Patrol acts with reckless endangerment on the Tohono O'odham Nation, literally getting away with murder as it abuses all life. 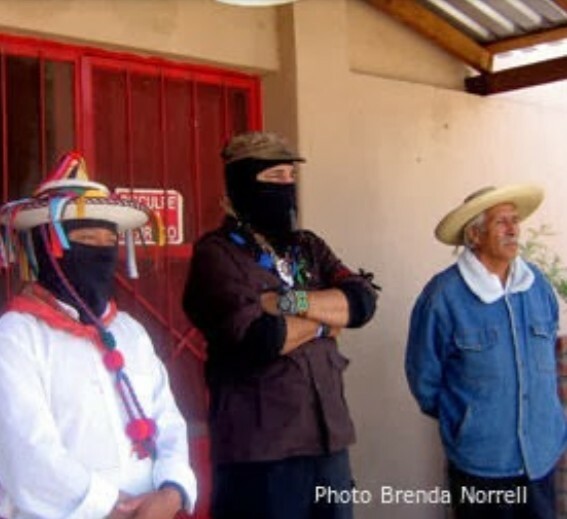 Yaqui elders from Rio Yaqui in Mexico who come across to lead ceremonies are harassed, even turned back at Nogales, Arizona. The destruction of ceremonial items by U.S. and Canadian agents is carried out on both the northern and southern borders by agents who show no respect and act with impunity. Traditional Native Americans living in their homelands now ask if they will have a voice on Thursday during the Tribal Leaders closed session, and be guardians involving any secret negotiations and pacts between elected tribal leaders, and the Trump administration's Homeland Security. Copyright Brenda Norrell, Censored News.